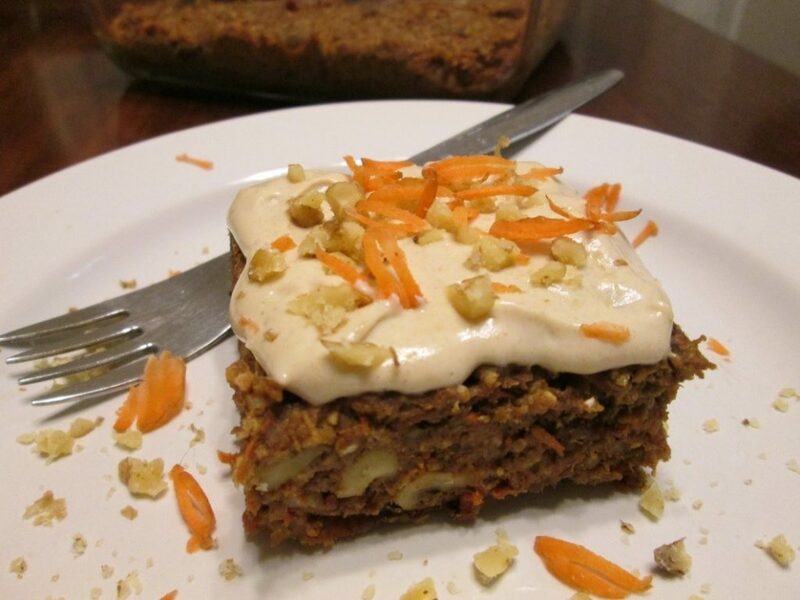 This frosting goes perfect with Vegan Carrot Cake but could be folded into a fruit salad. Leave the lemon out for a delicious “whip cream” for Vegan Pumpkin Pie. Blend all ingredients until smooth. Use just enough water to make it a thick cream. You will need more water is using pecans. “This is the best Carrot Cake I’ve ever had” was one dinner class participants comment. This cake is moist and very decadent with no oils, processed sugar and it’s gluten free if using gluten free oats. Add nuts, oats, cinnamon, nutmeg and baking soda to a food processor work bowl. Chop until coarsely ground and mixed well. Add dates and soak water, vanilla and vinegar. Process to a thick dough. You may need to help it along with a fork. Then add in shredded apple, carrots, and raisins and mix to incorporate evenly. Alternatively, transfer dough to a large mixing bowl before adding carrots and fruit and mix them in with a fork. Spread dough in an 8×8 cake pan and baked at 350 for 20 minutes. Spread with Sour Cream Frosting or add dollop when served. . This is creamy, comforting, and so satisfying! This recipe has saved me on my year-long elimination diet. Bake sweet potato in 350-degree oven until soft, about 2 hours. Higher temp is shorter time is needed. Sauté onion in dry soup pot over medium-high heat until it starts to brown. Add garlic and sauté one more minute. Add about 4 cups water and loosen browning off bottom of pan. Add celery, carrots, then lay cauliflower florets over the top so they can easily be scooped out. Bring to a boil then lower heat to medium, cover, and cook until cauliflower is tender. Scoop out cooked cauliflower and place in a blender jar and blend until smooth. Add cooked sweet potato and blend. Stir in blender contents into soup pot along with marjoram and mix well. Heat for 5 minutes. Mix in cooked brown rice or other grain. Salt and pepper to taste. 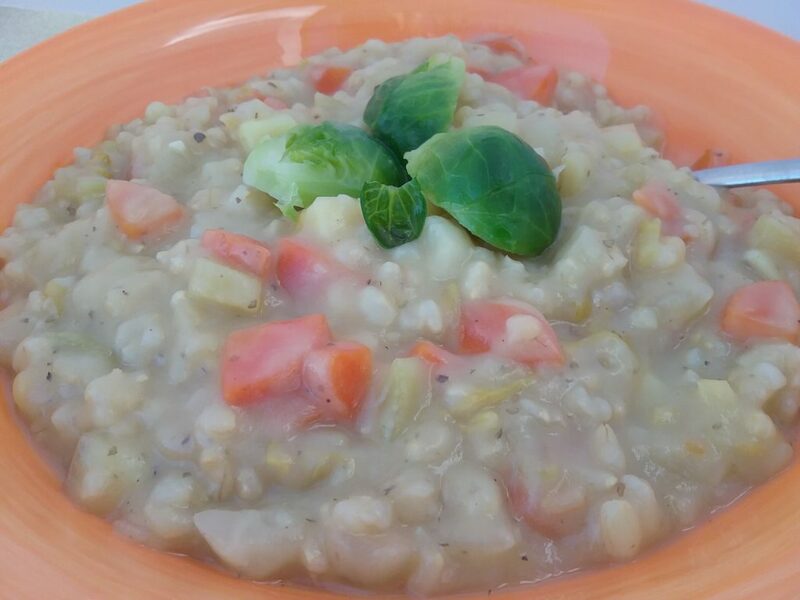 *I love a combination of cooked quinoa and cook buckwheat. Boil 2 cups water, add 1 cup quinoa and ½ cup buckwheat. Lower heat to low, cover, and cook until tender, about 10 – 15 minutes. Grand all ingredients, except coconut, in a food processor until they become sticky and hold together. Scoop out 1 tablespoon and roll into a ball. Then roll in the shredded coconut. Best frozen and then slightly thawed before eating. Toast seeds in a dry skillet over medium heat, stirring 5-10 minutes until golden brown. Process all ingredients in a coffee grinder or blender until smooth. Store in the refrigerator. 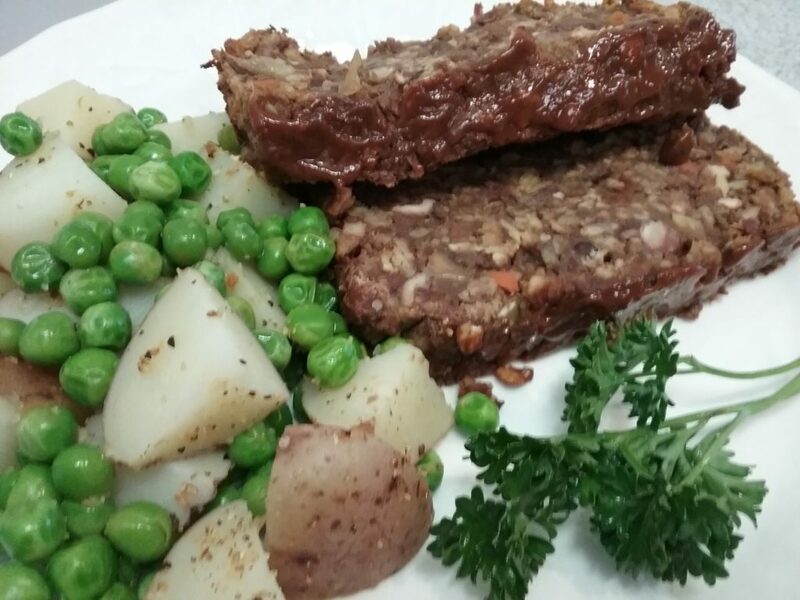 This recipe is from a great little cookbook entitled “Of These Ye May Freely Eat” by JoAnn Rachor. See her YouTube channel here for some great cooking videos. Even meat-eaters will devour these comforting Eggplant Roll-Ups. Using thinly sliced eggplant instead of noodles is a great way to get this nutrient-dense vegetable into your diet. While eggplant is cooking, sauté bell pepper, onion, garlic and mushrooms until tender. Add seasonings, tofu and spinach. Mix well and cover until spinach is wilted. Add 1/2 cup pasta sauce and salt to taste. Mix well. Lightly cover bottom of pan with pasta sauce. Place 1/4 cup of the vegetable filling on each eggplant slice, roll and place in a baking dish. Top with pasta sauce and olives. Bake 20 minutes. 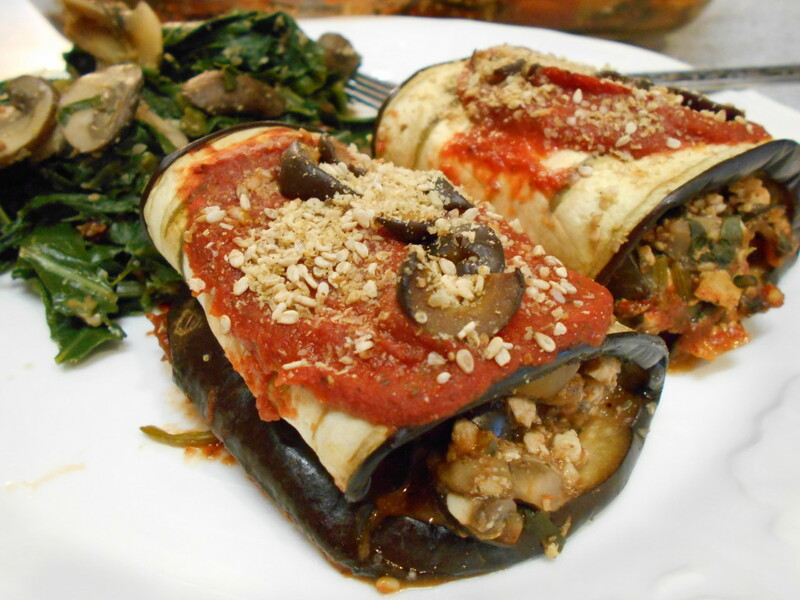 *Baked eggplant slices are delicious with hummus spread on them and rolled up. 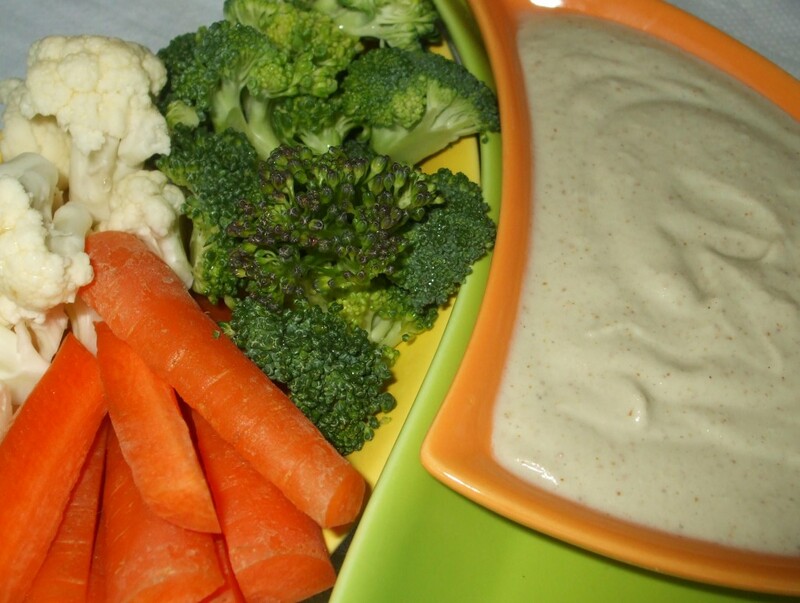 See my Whole Food Hummus recipe found here. This vegan French onion dip goes perfectly with crackers or vegetables! Made with cashews, sunflower seeds and white beans as your base, this dip is a healthy, high-fiber super-star that is simple and delicious! This recipe is in my cookbook Whole Food American Favorites. Puree all ingredients in a strong blender until smooth. Add in fresh dill or other fresh herbs, green onions, or chives. Salt to taste. Great with fresh-cut vegetables. This recipe is from my cookbook Whole Food American Favorites. Boil 1 1/4 cups water. Add lentils, reduce heat to simmer, and cook until tender. Add more water if needed. Sauté onion, mushrooms, garlic, carrot, and celery until tender. Add herbs and pepper. Cook 3 – 4 minutes. Transfer to large mixing bowl. Add cooked lentils, kidney beans, oats, nuts, and BBQ sauce. Using a pastry cutter, mash all ingredients together until they become sticky. Don’t mash too much. You want to leave a little texture. Transfer to a loaf pan. Top with more BBQ sauce. Bake at 350 degrees for 1 hour. Let cool 10 minutes before cutting. A strong blender such as a Vita Mix or BlendTec, or a strong food processor such as a Kitchen Aid or Cuisinart, is necessary for this recipe. Soak dates in 1/2 cup water for at least 4 hours. Mix sifted flour, baking soda, salt, and spices in a large bowl. Blend dates and water with remaining ingredients in a strong blender or food processor until smooth. Add to dry ingredients. Mix well and knead until you have a smooth ball of dough. Wrap in wax paper and refrigerate for several hours until chilled. (This step makes rolling out much easier.) Divide dough in half and roll one half between two pieces of parchment paper. Roll out to 1/4 inch thick. 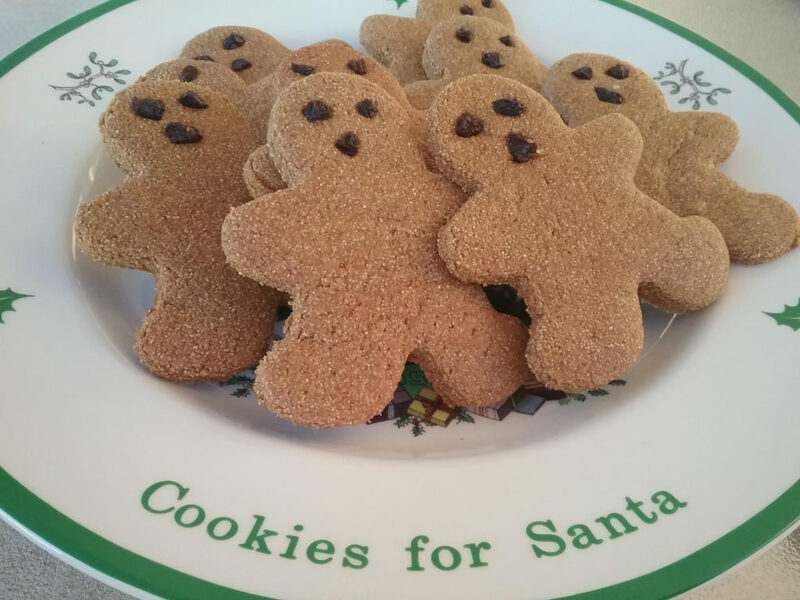 Cut with a gingerbread man cookie cutter and place on a cookie sheet lined with parchment paper. Bake for 10 minutes at 350 degrees. I could have this as a meal all by itself! It’s a great way to get that pound of veggies in. Blend all ingredients in a food processor until creamy. 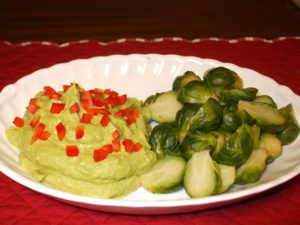 Serve with steamed or roasted Brussel sprout halves, broccoli or cauliflower.